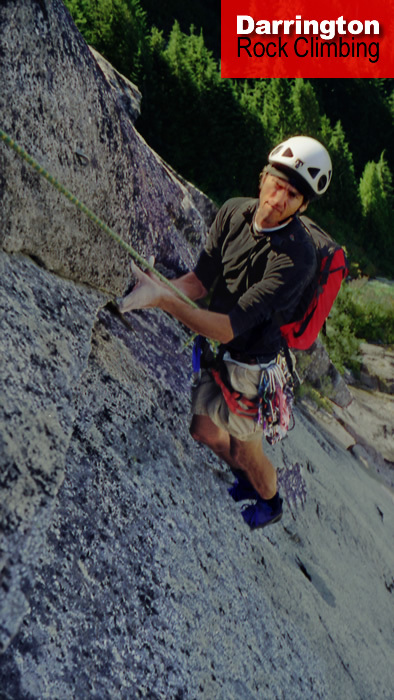 I have been climbing in Washington for over twenty-five years. A climber and backcountry skier on the weekends, I pursue a law practice in Seattle during the week. I would welcome your input. Please send comments and corrections, pictures and route information. Email to: matt@mattsea.com. In a similar demographic as Matt, I started climbing in the ’70’s and still climb quite actively. Professionally, I design web sites and databases. My website is here. Email me firebaugh@raincity.com. Photos come from a number of photographers, including Matt Perkins, Gary Yngve, Steve Firebaugh, and are copyright by their respective owners.